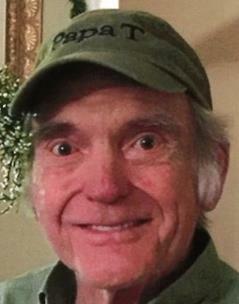 Marion “Papa T” Lewis Tackett, 79, passed away on Friday, January 18, 2019. He was of the Baptist faith and a member of Stevens Street Baptist Church in Cookeville, Tn. Papa T was a huge sports fan, but especially loved football, having been an All American high school football player. He loved to support his family and watch his children and grandchildren in all their activities. Marion was a veteran of the U.S. Air Force, having served during Vietnam. Mr. Tackett never met a stranger and was well loved by everyone whose life he touched and he will be dearly missed. He was predeceased by his parents, Pon and Mary Tackett, brothers, Pon Tackett, Jr. and Lt. Col. Gwin Tackett; sisters, Betty Skinner and Nina Brown. Mr. Tackett is survived by his wife of 58 years, Frances; son, Brad (Melody) Tackett of Carthage, Tn. ; daughter, Kim (Mike) McElroy of Ooltewah; brother, Bobby (Elsie) Tackett of Carrollton, Ms.; grandchildren, Brooke (Brian) Wyatt of Crossville, Joe Paul (Erin) Tackett of Chattanooga, Hannah McElroy of Ooltewah; great-grandchildren, Brylee and Bryce Wyatt. Visitation will be held from 10:30 a.m.–12:30 p.m. on Wednesday, Jan. 23, at Turner Funeral Home at Highway 58. The funeral service will follow at 12:30 p.m. in the Turner Funeral Home Chapel with Brother Bob O’Neal and Dr. Tim Frank officiating. Mr. Tackett will be laid to rest at Chattanooga National Cemetery with military honors.